Claire and Paul were absolutely thrilled and honored to welcome Christopher Williams back to Lubbock for his first HubCityMusic.com house concert since 2014, June 15th, 2018. Way back in 2011, the idea of a house concert series was just a gleam in Paul’s eye. We had our first, private, Harvest Moon concert in the fall of 2010, and Paul was thinking about hosting a public house concert series, but had not idea how to go about it. Paul heard at the last minute that Christopher Williams was performing with Bebo Norman in Dallas, and, already being a fan of both, Paul jumped in the car and got there just as the concert started. Afterward Paul was getting Christopher to autograph a CD, and mentioned that we were interested in hosting a public house concert series. Christopher’s response was immediate, and Christopher Williams became our first official booking in this series of public house concerts we now call HubCityMusic.com House Concerts. CW has been back occasionally over the years, and with that kind of history with him, we could not be happier that circumstances allow him to come our way again! Touring nonstop nationwide at a pace of more than 110 shows a year, Christopher has built a faithful following of listeners around the country and is a true independent artist, having successfully published 11 CDs on his own label. 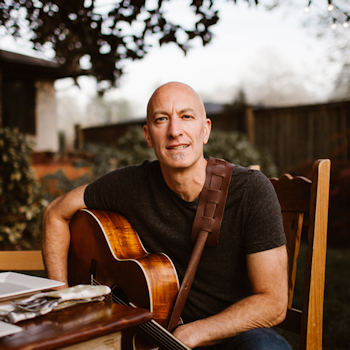 He has toured all over the U.S., opening for and playing with noted performers such as Jars of Clay, Arlo Guthrie, Phil Keaggy, David Wilcox, Patty Larkin, Ellis Paul, and others. Christopher is a songwriter, storyteller, and entertainer – offering songs that are honest and confessional, yet never overbearing; and performances that engage audiences with an appealing mix of intense passion and humor. With “lush guitar work, and sweet soaring vocals” (Boston Phoenix), CW is an accomplished guitarist. But he is also one of the few musicians who can fill a room with only his voice to the accompaniment of a masterfully energetic African djembe hand drum. It’s a sound that everyone should be privileged to experience. Simply stunning. With his newly released CD, “Gather”, Christopher explores new musical and production horizons, while retaining the sensibilities that have endeared him to so many fans across the country. At once philosophical and poetic, these new songs also have a musicality that makes them immediately accessible and fresh at the same time. His intimate live performances create a connection with the audience that is mesmerizing and entrancing. He is a performer that, regardless of the setting, creates an intimate feel – comfortable on stage in front of thousands, as well as in a small living room concert. There just aren’t many performers capable of this kind of connection, and if you’ve had the pleasure of attending one of his concerts, you’ll know exactly what I mean. Tickets available at Ralph’s Records or at the door. 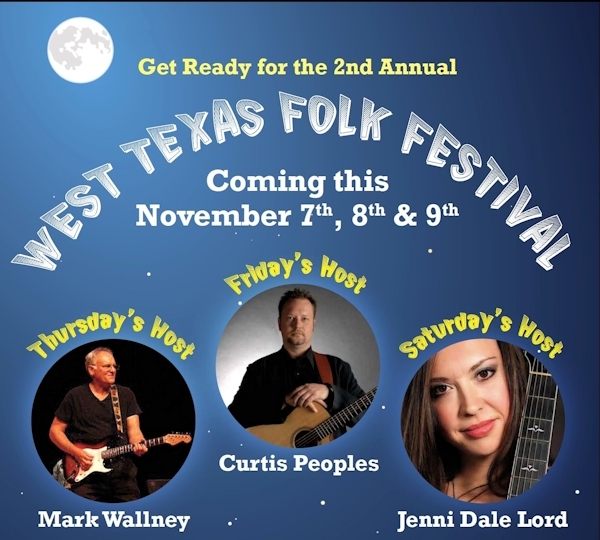 Van and Leslie Shaw are happy to again host the 2nd Annual West Texas Folk Festival, from November 7th through 9th, at their beautiful Uncle Bill’s Music Barn venue in far south Lubbock. Located behind their residence at 150th and Louisville (one block west of Indiana), Uncle Bill’s Music Barn is in a peaceful and spacious country environment, with a comfortable, inviting interior that is laid out perfectly for musical performances such as this folk festival. Hoping to eventually reach the status of more prominent folk festivals (such as the Kerrville Folk Festival), Van Shaw recognizes that every giant tree was once a sapling. “We want to grow this event and make it self-sustaining” said Shaw, noting that last year’s debut event was satisfyingly successful for a first-year event. Kenny Maines performed an awesome HubCityMusic.com house concert on Saturday January 21, 2012 to a packed, sold-out house. Accompanied by special guest, fiddler Blake Whitmire, Kenny and Blake kept everyone spellbound throughout the evening with spectacular musicianship and vocals. Thanks, Kenny and Blake! Video will be posted soon, so check back for a sample of their performance. Kenny Maines needs no introduction to Lubbock music fans. 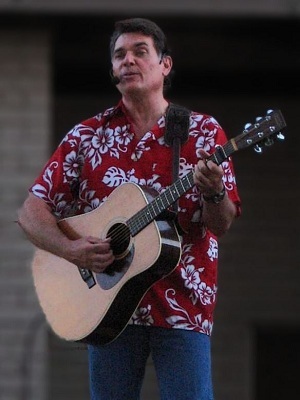 As a member of The Maines Brothers Band, Kenny has been a singer/songwriter his entire life. Reaching great commercial success during the 1970’s and 1980’s, The Maines Brothers Band recorded a total of eight albums, two of those for Mercury Records in Nashville, Tennessee. The band shared the stage with Alabama, Reba McIntire, Barbara Mandrell, Ronnie Milsap, Dr. Hook, The Judds, and many other artists of the era. Known as a consummate musician, as well as music fan and a bit of a music historian, Kenny hosted the PBS series “StoryTellers & MusicMakers” on KTXT-TV. (http://storytellersandmusicmakers.com/home.html) In two seasons, Kenny interviewed a number of musicians whose careers were shaped by West Texas, and whose careers have shaped the West Texas music scene. Of course, few of these have had more influence than Kenny Maines himself, both in West Texas, as well as on a national and international level.